For your pastries or to be covered in chocolate or just to be enjoyed as is. They will give you a unique flavour as well as a delicious oriental note to any of your dishes. 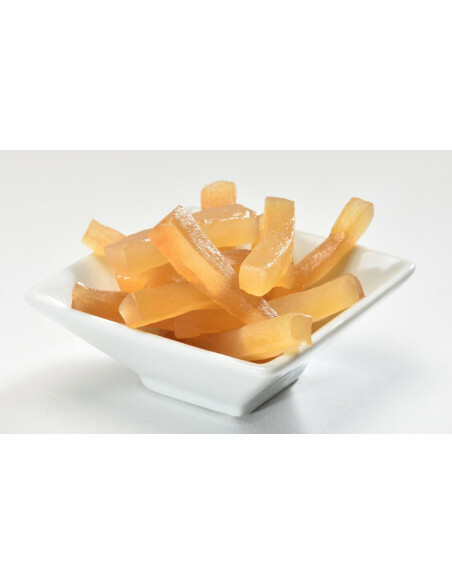 Ingredients: ginger strip, sucrose, preservative: E220 (sulphites).